Other Products by Lifestream. Search other Digestive Health products. Lifestream Biogenic Aloe Vera Juice is 99.7% pure supplement containing freshly cut, cold squeezed inner gel of Aloe Barbadensis. Aloe vera aids and supplements your digestive process. 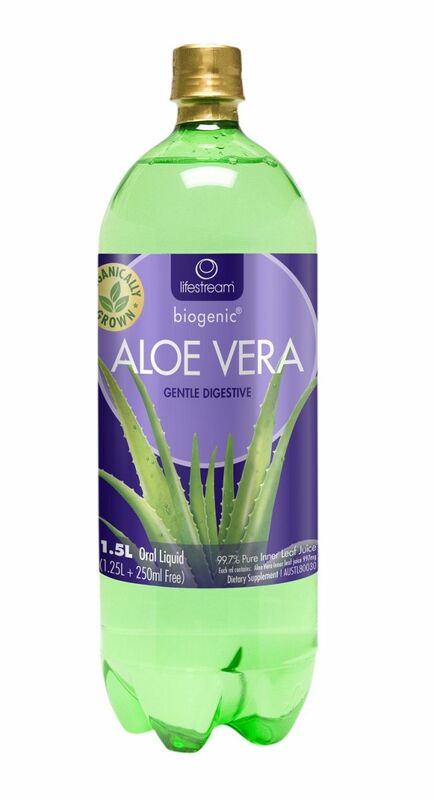 Lifestream Biogenic Aloe Vera Juice soothes your digestive tract and intestinal lining, and eases bowel movement. Aloe vera helps maintain healthy intestinal bacteria and is a tonic to the liver. Healthy functioning of the digestive tract ensures proper detoxification and cleansing of internal systems. Aloe vera is a powerful anti-oxidant. 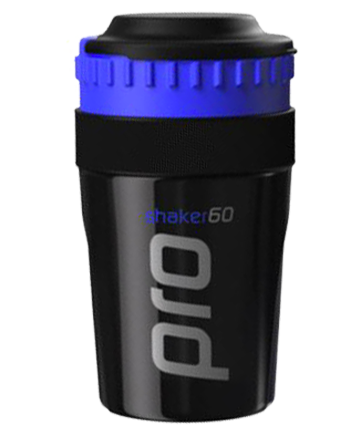 It destroys harmful free radicals in the body and keeps you disease-free. Lifestream Biogenic Aloe Vera Juice is a great natural immunity enhancer. Scientists also vouch for the strong anti-inflammatory properties of aloe vera. It contains more than 12 substances, including beta-sitosterol, which inhibit inflammation of joints and tissues. Beta-sitosterol helps in curing high cholesterol. Aloe vera juice has antibiotic properties and fights bacteria and infections in injuries. Aloe vera regenerates cells and repairs damaged tissues. Lifestream Biogenic Aloe Vera Juice aids muscle recovery and cell repair after strenuous workouts. Aloe vera juice contains numerous essential minerals, vitamins, proteins, enzymes and amino acids, in addition to valuable bioactive compounds like saponins and mucilaginous polysaccharides. These compounds actively assist in cell growth and renewal, and are said to be biogenic. · 100% GE free and vegetarian. Adults -- Consume 20ml once a day. For best results, increase intake to twice a day (40ml). One bottle contains 25 adult servings. Children -- Consume 10ml-20ml a day. Can be consumed on its own or mixed with fruit juice. For children below 6 years of age, consult a natural healthcare practitioner. Independently certified by the International Aloe Science Council (IASC). This product is vegan/vegetarian, and has no added dairy, soy, gluten and wheat.